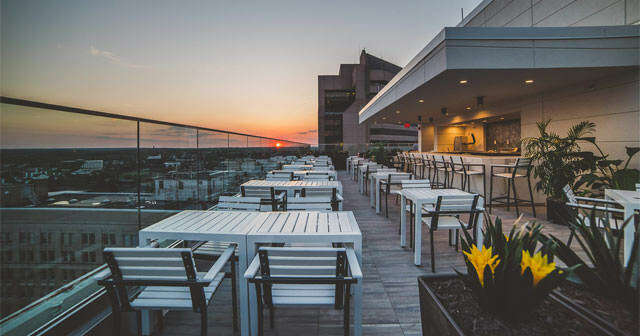 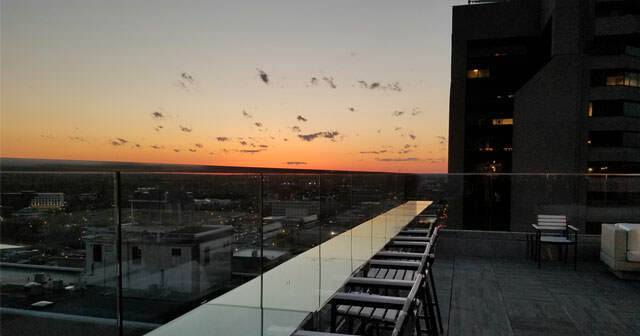 Located 20 floors above Richmond’s financial district, Kabana is a rooftop bar, lounge and terrace offering hand-crafted cocktails, beer, wine and small snacks. 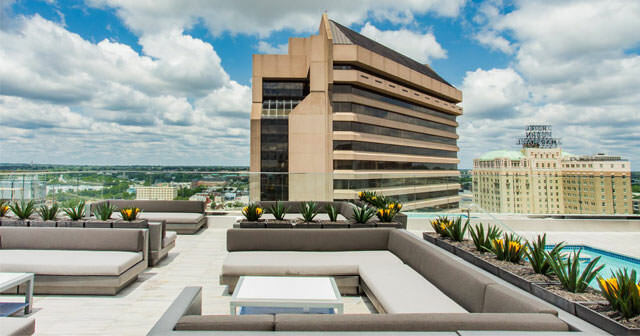 Hovering high above the urban bustle of downtown’s financial district, enjoy unparalleled views of the James River and surrounding neighborhoods while lounging in the open air terrace. 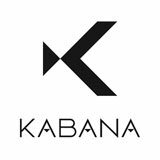 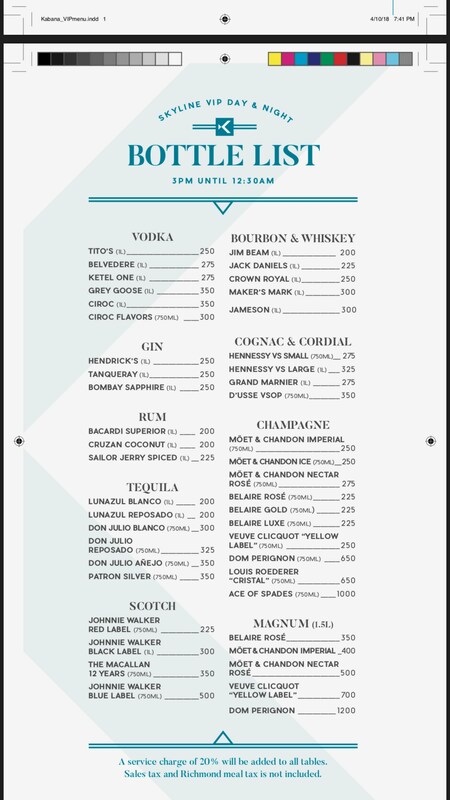 Kabana provides multiple bars buzzing with activity or cozy corners for more intimate gatherings with friends. 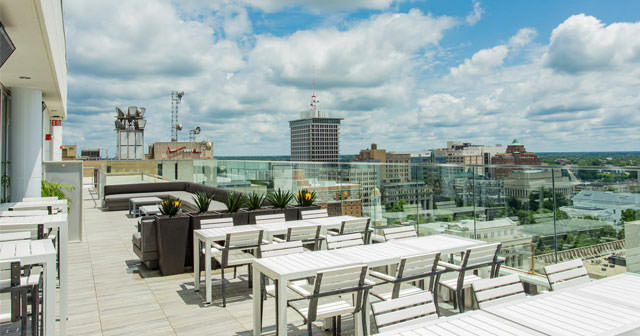 The outside rooftop space features weathered teakwood table tops and poolside daybeds. 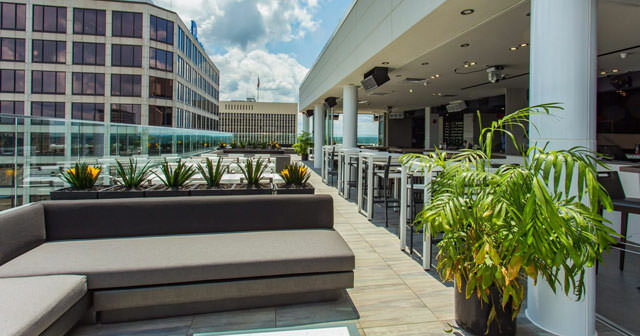 More seating is available on outdoor patio including daybeds and bar seating.